Lead guide and founder of Hillgoers, Garry Cormack, lives in Aberdeenshire. With the great outdoors literally a step away, he and his family spend much of their time exploring the surrounding terrain, seeking out the hidden treasures of Aberdeenshire and the Cairngorm National Park. Garry has a passion for the hills and remote areas of the Cairngorms. He likes to wander, exploring the nature and human history of the landscape. He also loves to pass on his knowledge of the nature around us, be it up on a hill or just a walk in the woods. Sarah (Garry’s wife) is the appointed Base Camp Admin / Emergency Contact. Sarah also has a keen interest in the outdoors and has been on expeditions with Garry, volunteering for the local Duke of Edinburgh Award group. Sarah is also our resident expert cloud spotter, tree identifier, willow weaver and flapjack maker! Niall is a principal teacher of guidance at Banchory Academy, Aberdeenshire. He has visited some of the most interesting places to climb, ski and explore over the past 35 years, including the Alps, Alaska, Kenya, Iceland, Norway and Thailand. In addition, cragging trips to Mallorca, Red Rocks Nevada and Joshua Tree California. Although he says nowhere beats Scotland! He is also a Mountain Bike Leader and previously a BCU Senior Instructor (Inland Kayak). Photography is also a great personal interest. He is holder of Summer and Winter Mountain Leader, Mountaineering Instructor Award (MIA) and Mountaineering Instructors Certificate (MIC). Niall provides us with advice and guidance on all aspects of training, expeditions and adventures. George is Perthshire based, and has a lifelong interest in the outdoors .  He has been mountaineering for over 20 years, and after training as a Mountain Leader with the Royal Marines, has gained over a decade of experience teaching various aspects of mountaineering, navigating, climbing, ice climbing and cold weather survival skills. George has been fortunate to have had the opportunity to instruct in a variety of inspiring environments, including the Swiss Alps, Albanian Mountains, American Rockies, The United Arab Emirates, Arctic Norway, Cornish sea cliffs, Welsh mountains, and in numerous locations throughout Scotland. Since leaving the Royal Marines George is now working as a mountain guide both in the UK and overseas working in places such as Nepal, Greenland and Sweden. Janni is a fully qualified Mountain Leader and Climbing Wall Instructor based on Skye. She is also a Paddle Sport Coach and trainee Sea Kayak Leader. As a Gaelic speaker, mountain names and their pronunciations are her passion and she brings maps and landscapes to life by showing us what Gaelic names tell us about places. Janni also runs South Skye Sea Kayak, why not join her on one of their fantastic trips around the dramatic Skye coastline. Ronnie is a fully qualified Mountain Leader and has a passion for travel, adventure and the outdoors. With both juvenile and adult groups he has led over 20 expeditions all over the world, from 8,000m Himalayan peaks, other mountain ranges, jungles, deserts, cities and islands. Ronnie's other profession and his previous 'proper job' was as Senior HR Manager of a global energy company specialising in Leadership/organisational development, facilitation, diversity and change management. He has over 40 years experience of the Scottish hills and is knowledgable on their history, culture and flora/fauna. When not a some long distance cycle adventure in some remote corner of the globe he can be found enjoying the hills on his Deeside doorstep. Luna comes with us on some walks. She's multilingual speaking most European languages. She can also smell out a sandwich lost on a hill from quite a distance, a unique ability, even in poor visibility she can lead a group to food. Dogs are welcome on our walks but must be well behaved and follow the countryside code, see Scottish Outdoor Access Code.